The public administration is key to improving the rule of law and economy, Head of the EU Delegation to Serbia Ambassador Sem Fabrizi told the Public Administration Reform Policy Dialogue. Ambassador Fabrizi said that the public administration reform is a process that influences all other aspects of life, adding that the success of that process is conditioned by a sufficient capacity for its implementation. “Good administration and successful reform require professional, independent civil servants who will adopt new approaches and secure their sustainability. More public communication is needed to explain progress of PAR and expected benefits for the citizens of Serbia,“ he underlined. “Thanks to solid implementation of activities, the European Commission has on the grounds of the First Report on self-assessment of the implementation of the 2016 Sector Reform Contract, published in November 2018, allocated EUR30.5 to the budget of the Republic of Serbia to support the reform. We expect another tranche of financial assistance in the coming period in order to proceed with the implementation of new activities,” Ruzic said. The Policy Dialogue serves as a platform to discuss the progress and results made as well as goals of the process. The activities within the dialogue are undertaken by Serbian institutions involved in the implementation of the Sector Reform Contract and the EU Delegation. This was the fifth in the series of Policy Dialogue meetings. 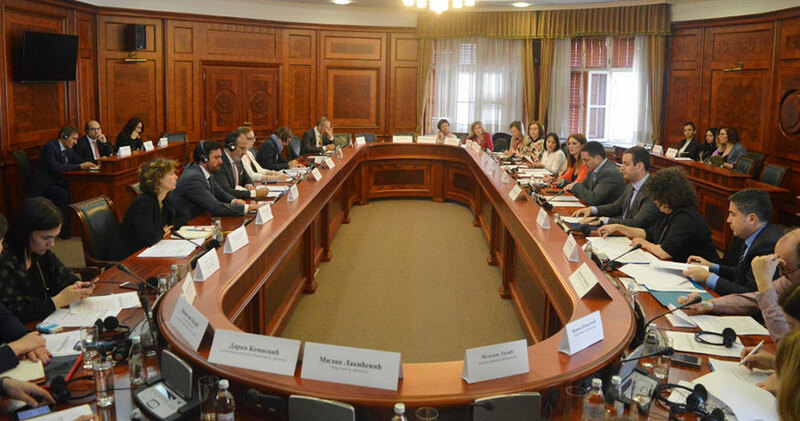 The Sector Reform Contract (SRC) is aimed at assisting the Government of Serbia to implement the public administration reform. Its value stands at EUR80 million, EUR70 million out of which is disbursed in the form of direct budget support, whereas the rest serves as the complementary support through four technical support contracts, says the Ministry of Public Administration and Local Self-Government.